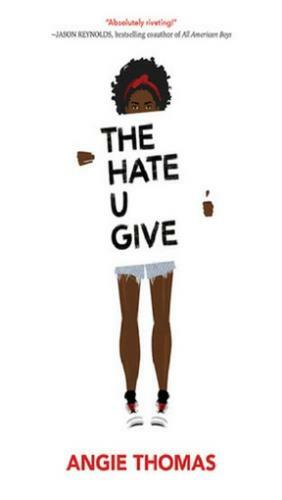 "The Hate U Give" by Angie Thomas is the Hamilton County Schools' book of the week, nominated by Courtney Brown, the librarian at Red Bank High School. 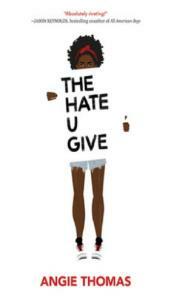 "The Hate U Give" is a young adult novel that follows events in the life of a 16-year-old black girl, Starr Carter, who is drawn to activism after she witnesses the police shooting of a childhood friend. Published in early 2017, The Hate U Give quickly became a young adult favorite and was adapted to a movie in 2018. A three-time winner of the GoodReads Choice Awards, The Hate U Give follows Sixteen-year-old Starr Carter as she moves between two worlds: the poor neighborhood where she lives and the fancy suburban prep school she attends. The uneasy balance between these worlds is shattered when Starr witnesses the fatal shooting of her childhood best friend Khalil at the hands of a police officer. Soon afterward, his death is a national headline. Some are calling him a thug, maybe even a drug dealer and a gangbanger. Protesters are taking to the streets in Khalil’s name. Some cops and the local drug lord try to intimidate Starr and her family. What everyone wants to know is: what really went down that night? And the only person alive who can answer that is Starr.